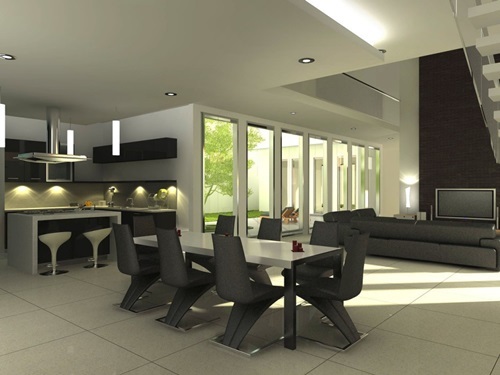 Having your principal meals with your family members and friends in the kitchen becomes a popular trend in the modern homes; especially if you have a large kitchen. 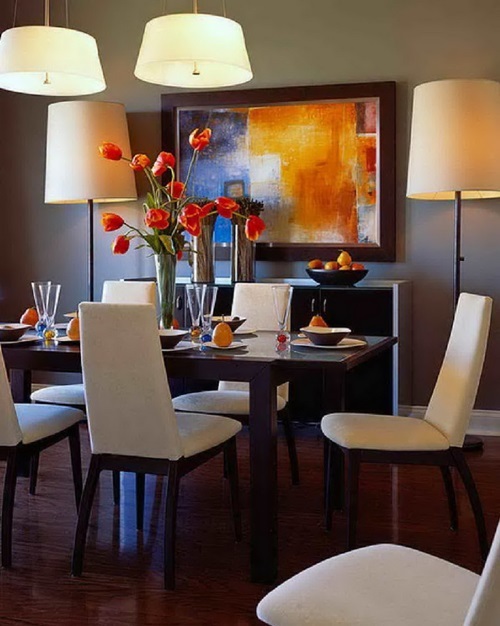 However, you may need to deal with your guests in a formal way, hold several parties,or your family has a large number of members. 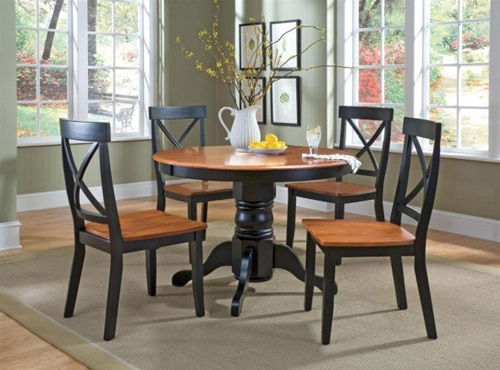 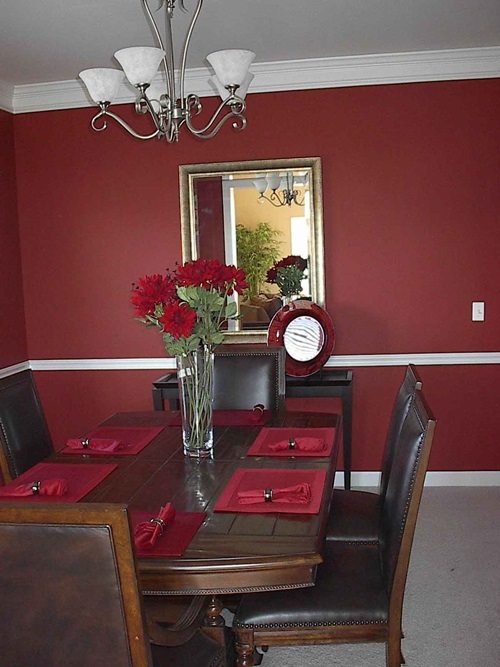 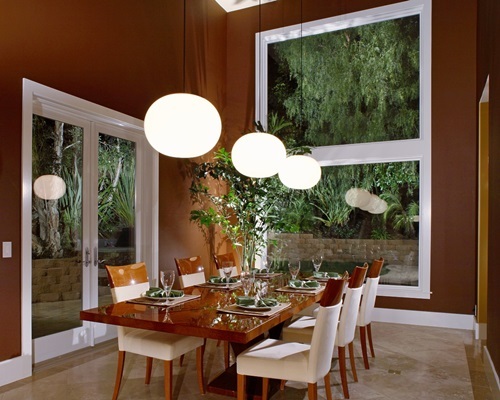 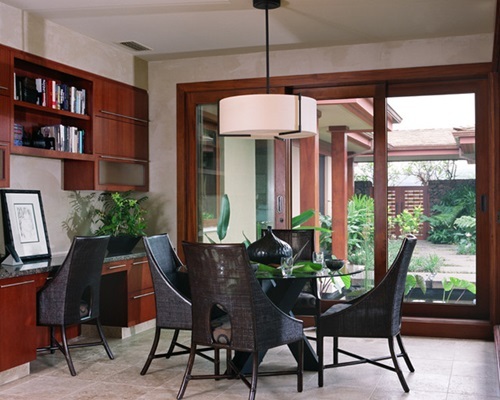 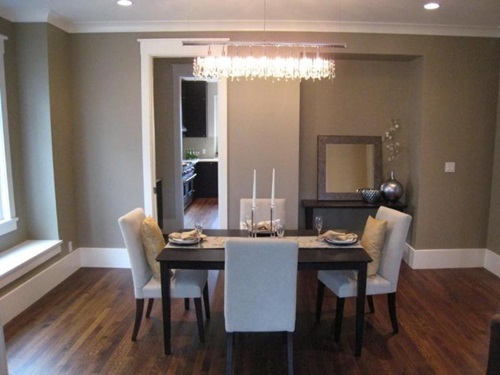 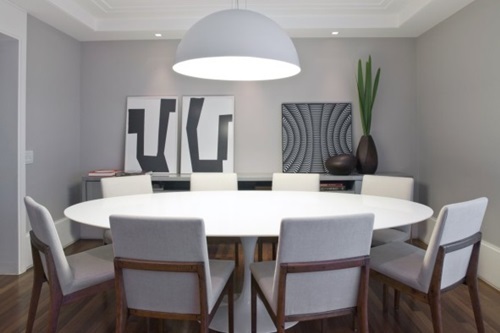 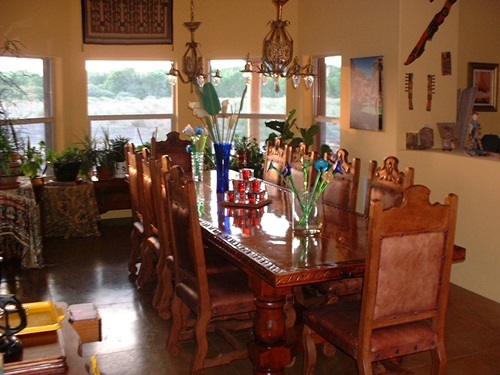 In these cases, the modern dining room will be your perfect option. 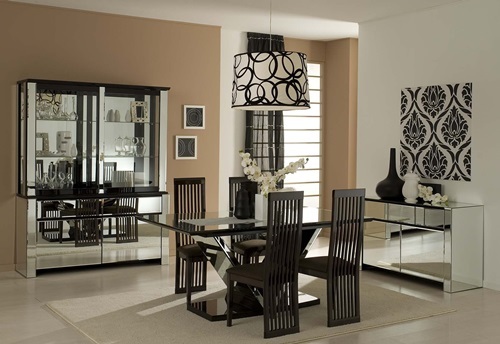 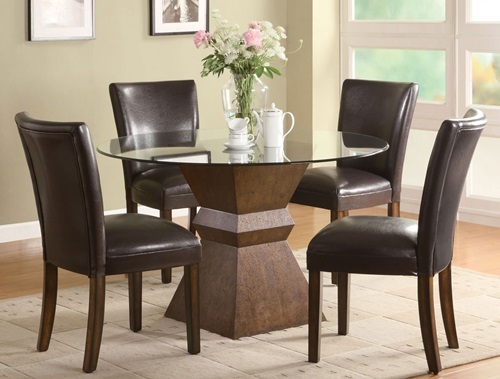 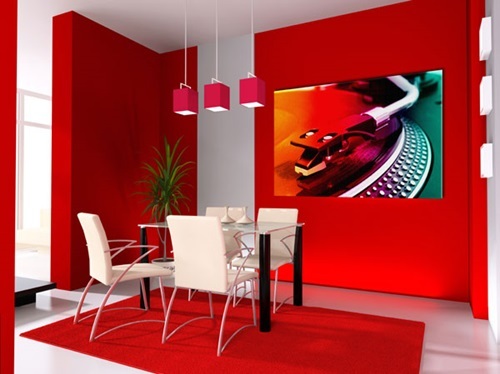 Your modern dining room furniture can be made of glass and chrome to give the place a sleek and reflective look. 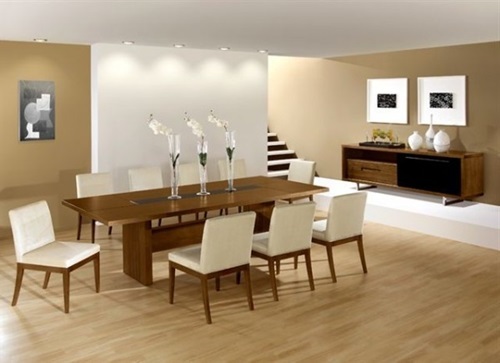 You can even design wooden furniture pieces with unique and flowing designs. 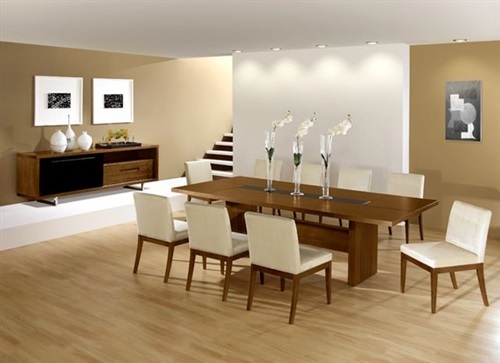 For example, the ocean wave dining table has its curvy lines and refined design to be appealing to your guests. 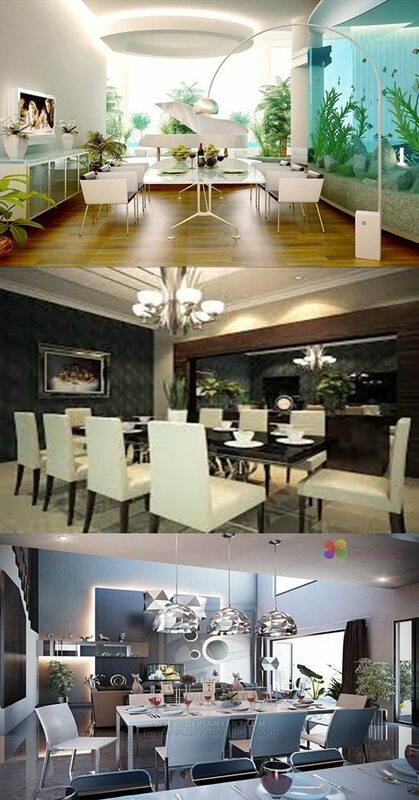 The dining table with an underneath fireplace or with a touch screen to entertain your guests will be great addition to your modern dining room. 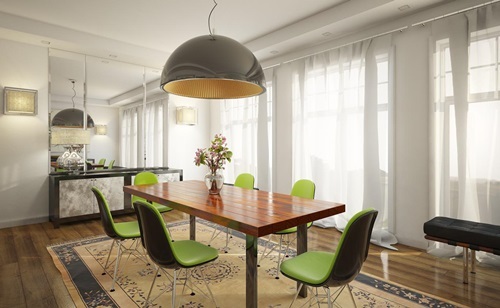 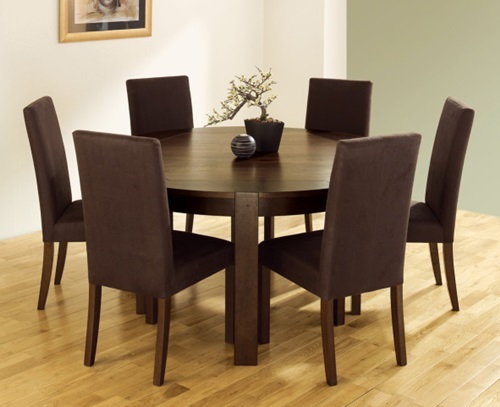 Your modern dining table may come with different sizes or extendable designs to match your needs and the available space without cluttering the place. 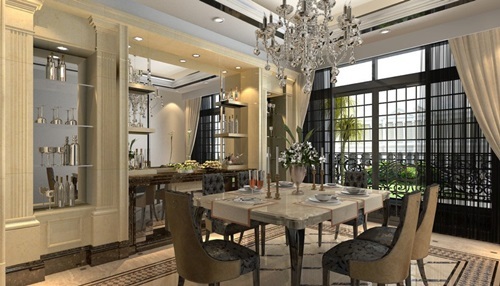 In addition to the dining table, your modern dining room may include a glass cabinet to display your unique dish and kitchen utensil collectionsor store your dining room needs in a clean and organized way.The ceiling designs and simple transparent crystal chandelier above your dining table will give the place a unique and impressive look. 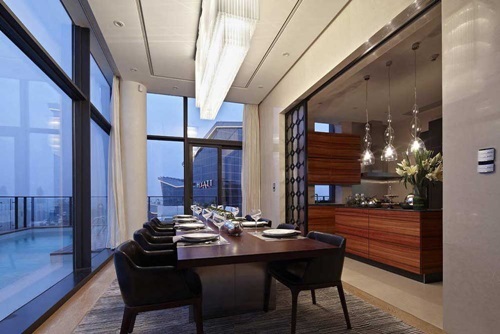 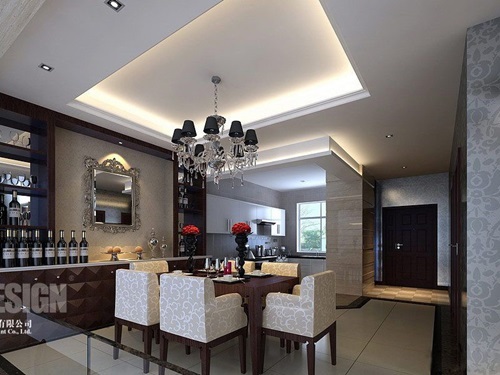 The wall beside your dining table can include a large mirror to give the place a spacious and shining look along with the perfect lighting system. 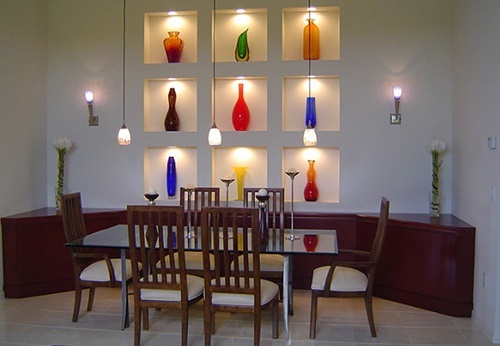 Instead, this wall can be painted a different color with simple patterns and details to be the focal point of the room. 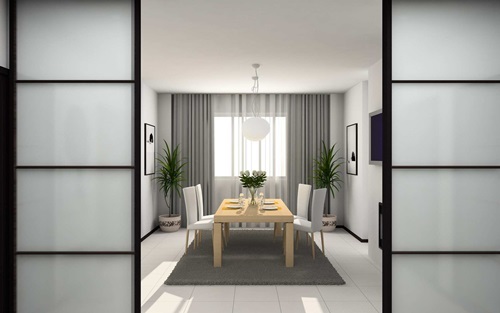 If you have an open design, you will not be in need to use room dividers as you will define the dining place by its furniture.